Artisan style and all-day comfort are yours with the Born Sebra flats. 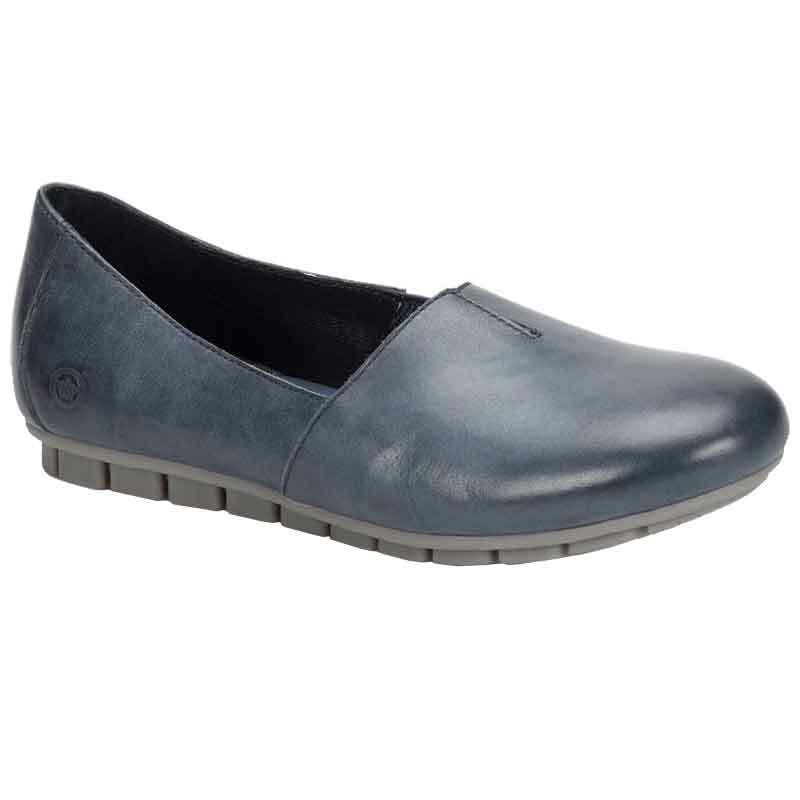 This women's slip-on features a supple, full-grain, suede, or metallic leather upper with an elasticized side to allow for a flexible yet still secure fit. The leather lining and cushioned footbed create an inviting and moisture wicking interior, while the arch makes each step a breeze. Opanka hand-crafted construction ensures a durable bond. The lightweight rubber outsole helps absorb shock while allowing for flexibility and without weighing you down. Add some Born style to your wardrobe with the Born Sebra flats. These shoes are extremely comfortable. My foot is a tiny bit wider than a B width but too narrow for a wider width. These shoes are just right. The heel is a little wide at the top, but I can fix that with a heel strip. They are just what I expected.